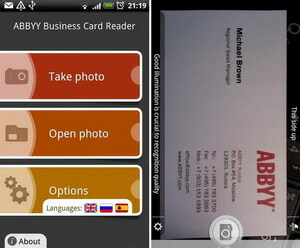 Remember the ABBYY Business Card Reading App for iPhone ? Now it's not just an iPhone app, because the company has released the business card reader for Android platform. 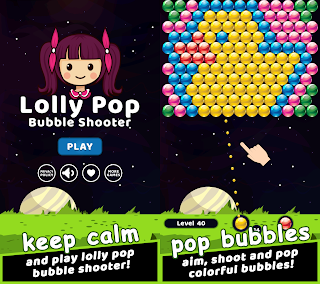 The Android application rounds out ABBYY‘s support of the major smartphone platforms, including Symbian and Apple iOS. The application enables users to accurately transfer contact information from paper business cards into their Android phone’s address book. The solution also allows users to search for additional information about new contacts across popular social networks and Google Maps. ABBYY Business Card Reader for Android is able to read text in nineteen languages including popular European languages such as English, German, French, Italian and Russian, providing business users with an efficient way to process both unilingual and multilingual business cards. ABBYY Business Card Reader offers a simple and efficient way to learn more about a company or individual via the ability to search across social networks such as Twitter, LinkedIn and Facebook directly from within the application. It also allows users to look up a new address captured from a business card with Google Maps, without requiring it to be saved in the mobile address book. ABBYY Business Card Reader for Android will also be available in a free, lite version that will allow users to capture data on a business card, preview the results on a phone’s display, and search for additional information on Facebook. The lite version will transfer the contact’s first name, last name and first detected phone number. The rest of contact data can be saved into the address book by upgrading to the full version. ABBYY Business Card Reader for Android is now available via the Google Android Market. Supported user interface languages include English and Russian. For more information about ABBYY Business Card Reader, including the product’s system specifications and a full list of recognition languages, visit www.abbyy.com/bcr_android. 0 comments on "ABBYY Business Card Reader released for Android"